After the heinous attacks against the United States on 9-11-2001, the US Intelligence Community took a major beating from multiple politicians. As the 9-11 Commission worked tirelessly to uncover truths in failures, it concluded that the US IC, as a whole, failed. That failure was catastrophic. Unfortunately, the American people have been provided multiple feel good sandwiches in trying to rectify US Intelligence failures. We were told that information sharing needed to be better between organizations and initiatives were created to do just that. Unfortunately, access to such information can arguably be seen as doing much more harm than actual good. During a time of unprecedented access to information within the US Government, some would argue with plenty of justification that leaks of information have never been so abundant. But worse, the compromise of US Intelligence assets, on a global scale, has never been so damaging. In 2011, Iran boasted the compromise of dozens of US assets not just in Iran but Lebanon as well. While the US Government immediately denied such information, it soon disclosed the reality of truth. For several years, China has been able to identify and capture US assets living and working in country. Some claim this series of events started in 2010 however others know the attack against these assets started much earlier. Iran, China, and Lebanon have succeeded in doing the unimaginable—they dismantled US Human Intelligence networks. Most of the assets compromised are believed to have been executed. These operations where US assets have been compromised come during a time when American risk aversion within the Intelligence Community is peaked. Worse, these disruptions to human intelligence networks have been, in part, blamed on infiltrators and poor network communication systems used by the Intelligence Community. America has a problem yet a solution does actually exist. 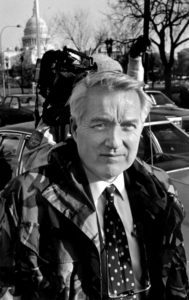 Just around ten years ago, Dewey Clarridge whom was the architect in creating the CIA’s Counterterrorism Center, brought together a network of US assets. These individuals came from all walks of life. Some had parents whom actually worked for the legendary spy-master. And each one had specific capabilities supporting the mission. What Mr. Clarridge created was a cellular network where many never even knew who was who within the network itself. But it was a network of capable individuals who had the talents to properly vet, recruit, and conduct long-term asset validation on assets and sub assets. General Michael Flynn, Admiral John Poindexter, and Ambassador Paul Bremer all praised the work of Dewey Clarridge and his network of willing accomplices for the work they conducted and the intelligence they provided as noted in his obituary. What the United States needs today, more than ever, is an official government intelligence organization similar to that which Dewey Clarridge established, largely based off the foundation of the Office of Strategic Services, but on a much larger scale. True Human Intelligence operatives whom can go abroad without fear, taking austere risks, operating largely on their own with little support is needed now more than ever. These operatives should not be required to utilize any mandated on the shelf or off the shelf communication systems but rather decide for themselves what is best for their situation similar to how many Special Operators are authorized to utilize different weapon systems pending their mission. The organization should be cellular in nature ensuring if one is compromised the others do not know who is who within. And, each cell structure should maintain one handler who never steps foot abroad but rather simply serves as the relay-er of information to those inside the DC beltway. As far as official training, there should not be any within. All persons within should be recruited for their current capabilities and past training from work conducted prior to being recruited into this new organization meaning, they are carefully selected from diverse pre-existing skill sets. One of the most critical capabilities sought is the ability to learn on the go and be completely adaptive. In maintaining this approach, the Government has the greatest form of plausible denial ever established. Of most importance is the need for this organization to never be an official part of the overall Intelligence Community but rather an offshoot apparatus fully funded by the Executive Branch similar to President Washington’s Secret Service Fund (not to be confused with the US Secret Service today). As an offshoot organization to the larger US IC, control would be maintained directly from the Executive Branch which means, politicization of such would be minimized and the current overwhelming control of Intelligence among key members within the House and Senate would be eliminated which brings a second order of effect—leaks of intelligence would be dramatically reduced. Some may question whether this approach is even possible. No formal awareness of who is who within the network? No formal acknowledgement of government association? No formal means of communication? Is it possible? The answer is an absolute yes. Not only is this concept possible, but on a smaller scale, it has already been done and done successfully. Unless the government wants to continue its path of intelligence failures and compromise of US assets, this is the way things need to be done. Unfortunately, this approach is unlikely to happen and that is because too many elected officials have politicized the Intelligence Community as a whole and would despise the fact that they have absolutely zero control of such an organization.